1Access your camera’s setup menu. 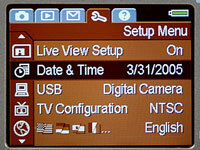 You may have to press a button to bring the menu onto your camera’s LCD screen. 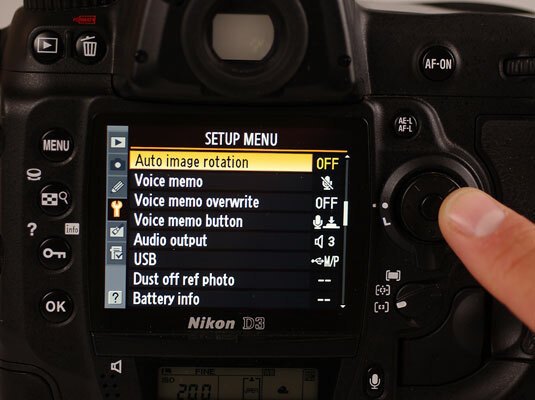 Consult your camera’s manual if you can’t figure out how to access the menu. 2Locate the category for image orientation. 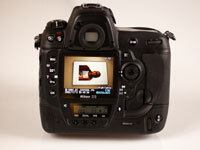 Orientation, when talking about an image, is whether it displays in portrait (vertical) or landscape (horizontal) mode. 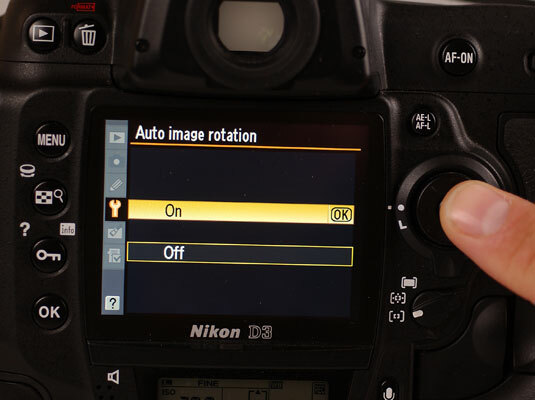 3Turn the auto-rotate feature (like the one shown in this figure) on. 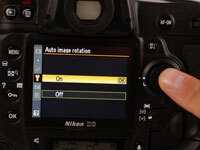 Select this feature according to your camera’s instructions (you may have to press a button to highlight the auto-rotate feature). 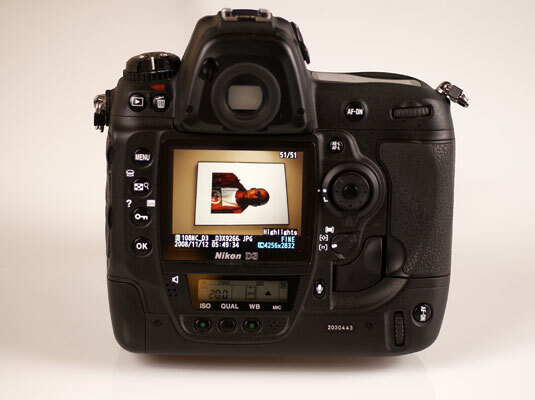 4Take a picture with your camera oriented vertically. 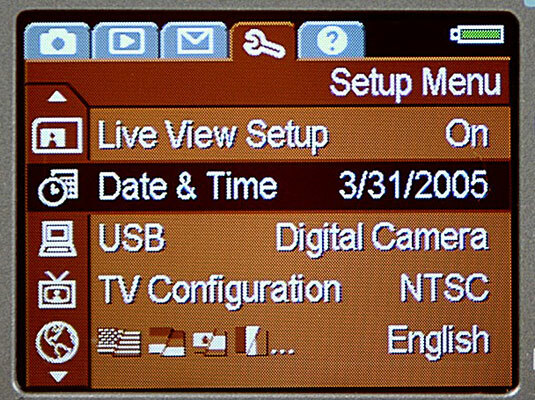 When the photo appears on your camera’s LCD screen, it’s oriented so that you can view it with your camera held in its normal position.